The Attorney General has turned down Adrian Delia’s request to see Aaron Bugeja’s inquiry report on Egrant in full. Quite apart from the fact that this underlines the absurd haste with which Adrian Delia bought into Joseph Muscat’s interpretation of things while he was being denied and is still being denied access to the facts. That’s a problem for Adrian Delia and his party, such as it is. The real news here is that Joseph Muscat’s own very public ‘appeal’ to the Attorney General to publish the report in full was just the sort of disingenuous mise en scène we have come to expect from these crooks. In denying Adrian Delia access to the full report, Peter Grech is denying the entire country the opportunity to see for itself the evidence that has been collected and assess it independently of pre-determined interpretations. 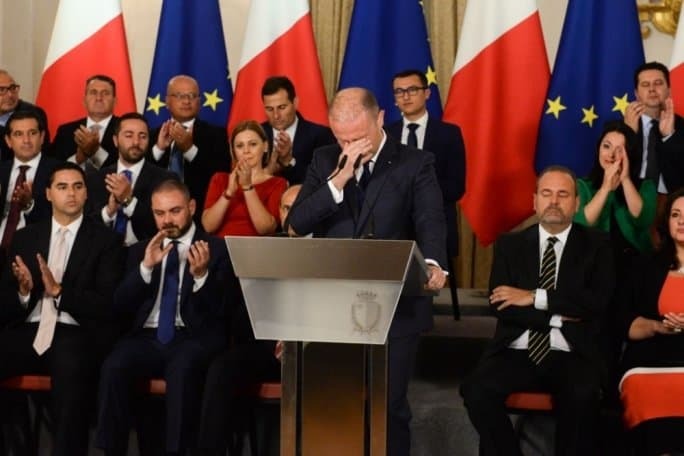 Had he not sprayed his short last Sunday with his infantile keenness to find the first available opportunity to get rid of Simon Busuttil, Adrian Delia would right now be expressing the perfectly reasonable doubt that the Egrant story ends quite the way Joseph Muscat would like it to. We’re not breaking taboos here. The collection of evidence in a magisterial inquiry is neither police work nor is it a judgement of a court. Though it has similarities with both, it is neither. A magistrate must rely on the police force to enforce his wishes as he collects information. Though he appears to have been very adequately resourced in terms of money, we have no way of assessing where he tried to go and where he did not. We do not know what questions he asked and what questions he did not ask. And we do not know what answers he was given. Of course, under normal circumstances, this would be none of our business. But this is no ordinary criminal case. This is an allegation of corruption and money laundering at the very highest level of power in Malta. No police investigation has occurred into the Egrant allegations. And especially no court judgement has been passed. Under normal circumstances, the findings in the inquiry would be going to the Attorney General who alone decides what to do with them. We should normally assume the Attorney General would act in the public interest but where Joseph Muscat and Peter Grech are concerned, pardon us, gentlemen, we are perfectly entitled to our doubts. Stop bullying us with an insistence that the undoubted ‘independence’ of Aaron Bugeja and the fact that he works from a courtroom, mean that we cannot ask questions about gaps left by the conclusions themselves. Those gaps could, one would hope, very well be filled and satisfied with the rest of the report. But while it’s being kept secret and while the only one outside these institutions we know has access to it is the investigated person himself, we cannot be made to shut up.